The Terlin Team is a talented and driven group of experts, tradespeople, designers, and project managers. In addition to our skilled partners and sub-trades, our complete team is made up of close to 200 dedicated individuals, each committed to providing our clients with the best of what Terlin has to offer. "WSP has worked with Terlin Construction for nearly 20 years on a number of projects ranging from retail stores and office fit-ups, to medical and dental clinics. We have always found their workmanship, service, and technical support to be of the highest quality. As well, their management and dedication to their projects is exceptional." "Terlin helped create a dental clinic my partners and I can be proud of. Terlin respected our budget by offering alternatives to our design plan and they exceeded our expectations by completing our project ahead of schedule. They were accessible throughout the construction period and we were impressed by the high quality of workmanship they provided. Terlin has an exceptional team capable of delivering superior results." 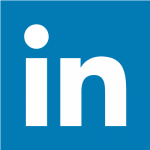 "What stood out was Terlin’s commitment to making sure I was completely satisfied with every step of the process. In particular, I was impressed with their willingness to resolve any issues that I had and be available to discuss things over the phone. As a dentist, working full time and trying to build a new office can be a stressful experience. Having the project manager to oversee the entire project made a big difference!" "When they (Terlin Construction) built my office last year, they were given the big task of building a modern dental office in a very tight construction schedule. Not only did they deliver on time, but they worked great with the architect, all of the trades and subcontractors, and myself whenever I had any questions or concerns. Ultimately, their professionalism produced a fantastic office that I was very happy with and that I am proud of." 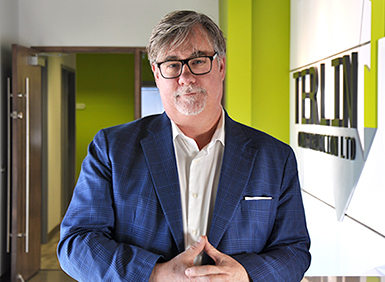 Terry McLaughlin is an innovative, forward thinking, and passionate business owner who has successfully spearheaded several startup initiatives. 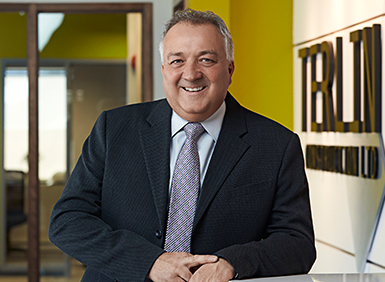 Among his many accomplishments, Terry grew Terlin Construction Ltd. from a small contracting firm to a national player and construction industry leader. Building and maintaining relationships is what sets Terry apart from other business owners. His long-standing relationships with his employees and clients are a true testament to his credibility and role as a trusted business partner. Catherine joined Terlin Construction in 2012 as Controller and heads up the accounting department, overseeing all financial aspects of the company. She is an innovative and driven accounting professional who strives to learn and take on new challenges. It is Catherine’s unusual ability to communicate and bridge the gap between what has been done and what others say can’t be accomplished that makes her stand out above the rest when it comes to her leadership and abilities. She is presently completing her Chartered Professional Accountant (CPA) designation. 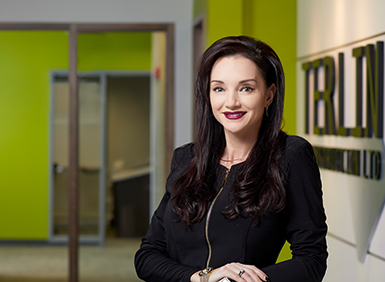 Michelle joined Terlin in 2017 and draws on over 25 years of diverse HR experience including policy design and implementation, performance management, talent acquisition and retention, career and succession planning, and benefits administration. Known for her integrity, diplomacy, and passion, she is a strategic thinker who collaborates with executives to drive a wide range of critical business and organizational strategies. 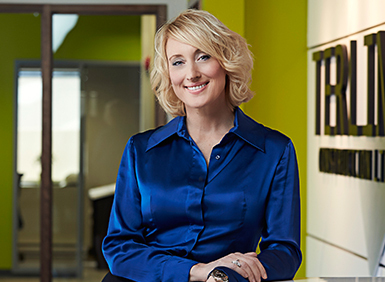 Prior to Terlin, Michelle provided guidance to established organizations and entrepreneurial ventures by identifying HR solutions and strategies to support growth and long-range business plans. 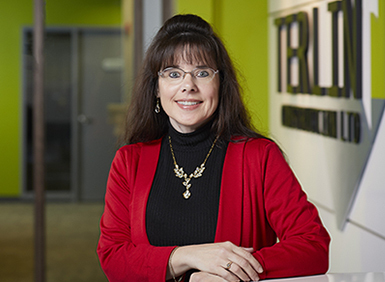 Teresa joined the Terlin team in 2018 and draws on over 20 years of solid communications and marketing experience. She is known for both her creativity and strategic approach to the planning, crafting and direction of compelling content—in all formats, from traditional marketing to the latest in digital media. As our online “voice,” Teresa loves shining a spotlight on the talented people that make up #TeamTerlin, and the incredible work that they produce every day. Pierre joined Terlin Construction team in 1994 and has more than 26 years of experience in the construction industry. As Project Manager, Pierre applies significant attention to detail, ensuring that client expectations and project milestones are met. He manages large teams of internal and external resources, putting client satisfaction above all else. Darryl joined Terlin Construction in 2014, and brings more than 38 years of industry experience as a Senior Construction Manager. He is a results-oriented manager who pays particular attention to ensuring that construction projects are delivered on time, on schedule, and according to project specifications. He is skilled at managing large teams of resources from different companies and identifying areas for construction management system improvements. 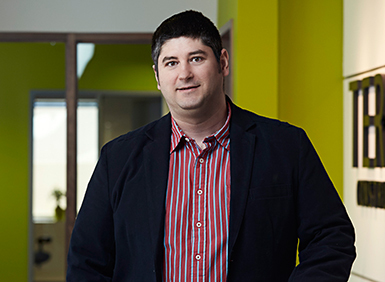 Darryl’s sense of humour and spirited personality allows him to explore new opportunities to add further value to special project accomplishments. Without a doubt, he prides himself on presenting a customer first approach to every project with client satisfaction always at the forefront. Lindsey joined Terlin Construction in 2006. Lindsey is a results-driven Construction Project Manager with experience as a Skilled Labourer and Site Superintendent. He has managed multiple projects from preliminary concepts to project completion through effective management and team collaboration. 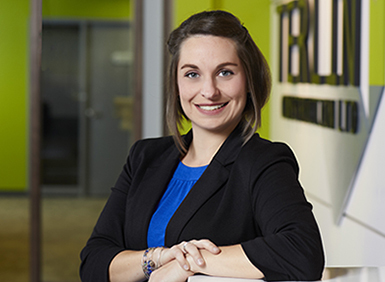 With a complete understanding of the build process, Lindsey is able to produce a critical path of timing and scheduling for each project stage which is essential to ensuring that projects are completed on time. He strives to produce the highest quality results within budget. Dedicated to providing the very best client experience, Lindsey has a strong understanding of his clients’ needs, paying close attention to detail which results in a high level of customer satisfaction. Cosmin joined Terlin Construction in 2007 and has more than 16 years of experience in construction. 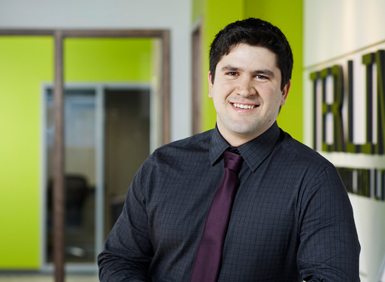 In addition to his Bachelor’s Degree in Hydrological Engineering, Cosmin has successfully completed the Construction/Project Management Program at Algonquin College. The construction phase is Cosmin’s favourite part of a project, but he thoroughly manages every aspect with careful attention to detail and quality. His industry knowledge, experience and confidence to professionally engage with internal and external resources ensures that projects are successfully planned, coordinated and delivered on time, on schedule and according to the project specifications. Pete joined Terlin in 2017 and is a seasoned, motivated, and accomplished Project Manager who ensures effective delivery of large-scale, complex projects. 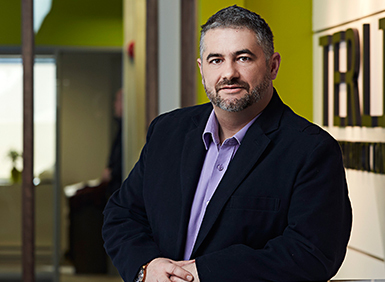 Providing leadership and developing key relationships with stakeholders, Pete’s experience includes managing multi-disciplinary and multi-million-dollar projects in institutional, commercial, and industrial sectors including unique international projects with contrasting construction techniques and procedures. Pete began his career in the UK and brings a wealth of both British and Canadian industry experience. He is a certified Project Management Professional with PMI and a Civil Engineering Technologist. Catherine joined Terlin in 2018 and is well-versed in the construction industry through varying projects across Canada. The wealth of knowledge and experience in her portfolio includes large commercial fit-ups and roll-outs, mixed-use developments, and residential renovations and additions. Catherine’s unique experience combines all industry aspects from administration, contract management, and project management, to sub-trade and owner representation. Her significant attention to detail ensures projects are completed on time, within budget, and with the highest-quality results which will always meet and exceed client expectations. 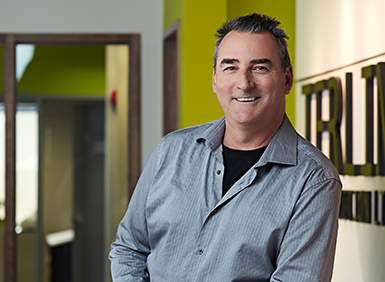 Brian joined Terlin in 2018 as a Project Manager and brings over 30 years of extensive experience in architectural design and project management spanning the healthcare, multi-residential, high-tech and corporate office industries. Brian practices active listening and builds strong relationships to produce sound, creative solutions through collaborative, thoughtful and deliberate choices. 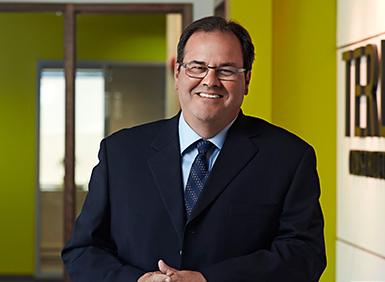 He has led cross-functional teams while managing multi-million-dollar projects across Canada. Brian is an Architectural Technologist and is a BOMA-designated Facility Management Administrator. Nathan joined Terlin in 2010 as a labourer, completed his apprenticeship in carpentry, and became a site superintendent with a reputation for understanding customer preferences and delivering excellent service. He has a proven record of successful projects, but it is his strong analytical skills and ability to solve issues with a multifaceted perspective that separates Nathan. He was given the opportunity to establish Terlin’s Service & Small Projects division which provides seamless and non-invasive maintenance and enhancements to existing spaces. Nathan has a BSc. in Neuroscience and is a Red Seal Carpenter. Stefan joined Terlin Construction in 2010. Stefan is a motivated team player with a “how can I help” attitude. 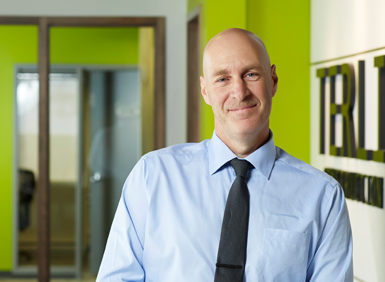 Stefan is approachable, positive and continuously inspired to learn new areas of the business. As Project Coordinator, he seeks out new opportunities through the OCA, Merx, and Biddingo, and oversees the administrative requirements and delivery of tenders and bids. 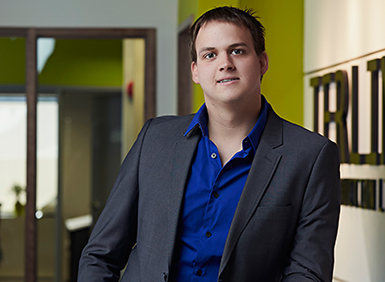 Stefan also coordinates the day-to-day project management activities ensuring that the highest standards of workmanship and efficiency are met under the guidance and mentorship of the Project Managers. Brianna joined Terlin Construction in May, 2016 as a Jr. Estimator. 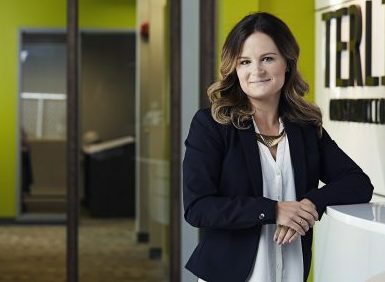 As a recent Algonquin College Graduate of the Architectural Technology and Construction Engineering Program, Brianna hopes to apply the technical skills she learned in school in a variety of areas in the business and to gain more knowledge of the construction industry in her quest of becoming a project manager. In addition to being a high achiever academically, Brianna is also an above-average performer in the workplace. We are excited to watch Brianna as she grows and to be a witness to all that she will achieve here at Terlin. 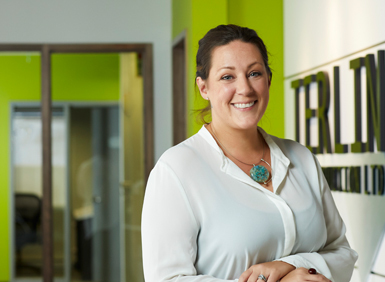 Kim joined Terlin in 2017 and works closely with Project Managers to provide support for the delivery of bids and tenders and oversees the coordination of project requirements to ensure they are delivered on time and on budget. She is a motivated team player who is always available to assist co-workers and clients. Kim is driven to learn new techniques to improve customer response times and satisfaction. 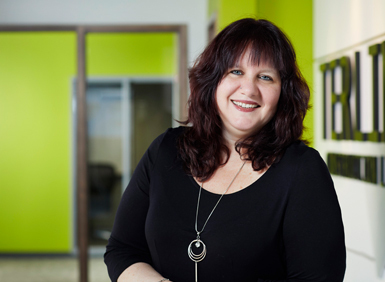 She brings a wealth of experience from a broad spectrum of trades within the industry and is presently working towards a certificate in Project Management. 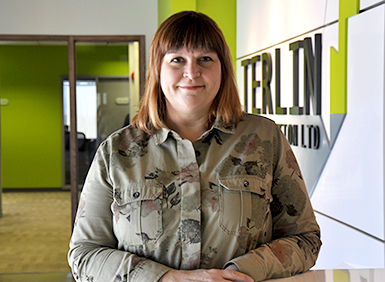 Mary joined Terlin in 2018 and brings over 20 years of various construction involvement while working on a variety of Ottawa’s large construction projects. Her experience ranges from administration and operations to her current position as Service Coordinator. Mary values customer satisfaction foremost and continuously strives to provide premium service. She’s a team player who is always willing to assist and go the extra mile. Mary is looking forward to a long career with Terlin and its clients. 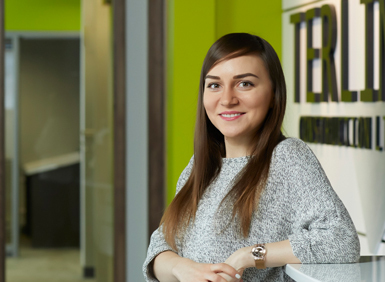 Inna joined Terlin in 2018 as an experienced financial team member with strong accounting knowledge across several industries. She is detail-oriented with highly effective interpersonal and communication skills which allow her to establish and foster valued relationships with vendors, customers and management. Inna is persistent and adaptable to challenging situations. She utilizes her excellent analytical, reconciliation, and troubleshooting skills while maintain her commitment to strict deadlines. She has a bachelor’s degree in finance as well as an Accounting Diploma. Diana joined the Terlin team in 2018. She has a 21-year background in customer service with eight years as the frontline receptionist for a multidisciplinary engineering firm. Diana is highly-regarded as a people person who fosters lasting, beneficial relationships with vendors, customers and industry colleagues. By paying special attention to detail and using her meticulous organizational skills, she consistently ensures customer satisfaction. Diana’s experience and character make her an excellent ambassador for Terlin. 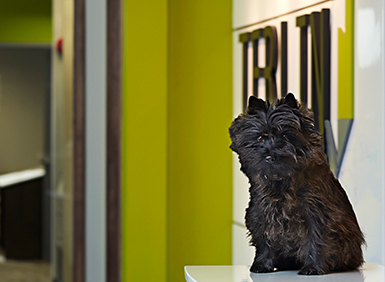 Gus joined Terlin Construction as a puppy in 2013. From the moment that Gus runs into the office, he brings an energy with him that reduces stress and increases camaraderie amongst the staff. Gus has a way of turning a frown upside down! Do you have what it takes (the drive, the experience, and the commitment to excellence) to be part of the Terlin Construction team? If so, send your resume to careers@terlin.ca – we are always looking for good people to join our team.